I was mega excited when these limited edition Haloween nails arrived in the post this week. 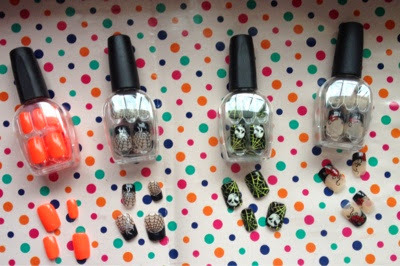 They are amazing and such a simple and quick alternative to spending hours attempting to create some spooky nail art! Rager, total witch, hot blooded and after midnight. I'm torn between total witch and hot blooded for my own halloween nails they have such a massive level of detail and are very wearable. They are available from Dunnes Stores Nationwide and at only €4 are a serious bargain. 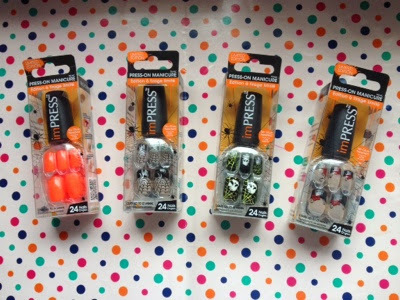 Leave me a comment to let me know if you have used impress nails.